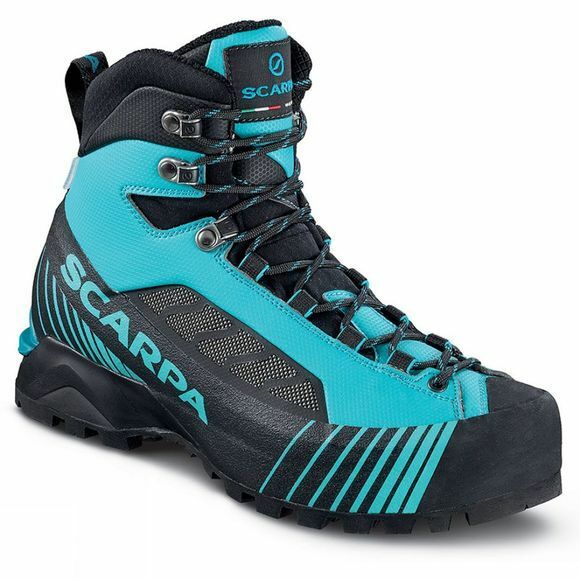 The innovative curved last shaped and the cool design are immediately recognised: the Womens Ribelle Lite OD Boot from Scarpa is designed specifically for women. The combination of Sock-Fit XT construction system, the Tech Fabric materials and OutDry technology make Ribelle Lite OD a lightweight boot ideal for technical trekking, via ferrata routes, and alpinism and for mountain guide and mountain professionals. The Pentax Precision III sole has a lightweight PU midsole and Vibram Mont compound on the outsole. The TPU crampon insert on the heel makes it compatible with the use of semi-automatic crampons while the front part of the sole makes easy for the foot to roll fast off the heel.